Massive oak tabletop and black steel frame dining table with live edge. 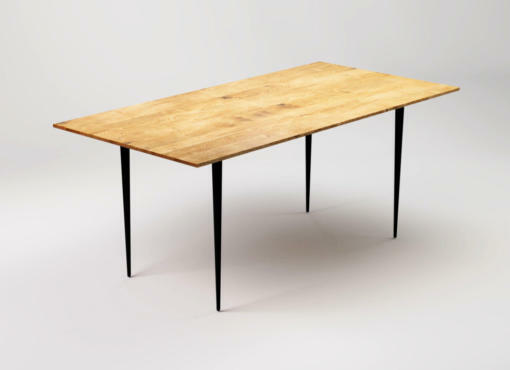 Tabletop – 3,0 cm thick, specially selected solid oak wood. Natural, live edge. It has various shades, dark knots and bright lines running along and across the tabletop. Each product is made to order and therefore, depending on the batch of wood, it also has its own unique features, colour and wood grain. 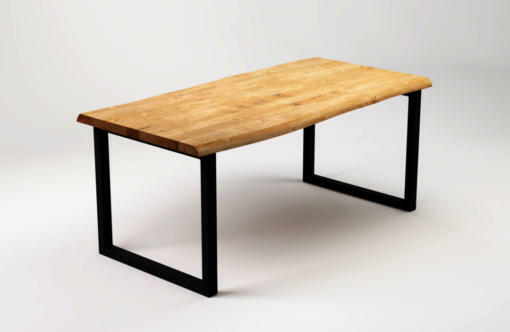 One of our unique products from Natur collection is RÅ Black, made of raw wood dining table. The tabletop is very thick and and has a live edge. It’s made of fine solid oak and the two long edges of the table have a natural, slightly wavy line. The top is gracefully resting on two powder-painted steel frames, giving the table a modern and chic look. Our skilled craftsmen carefully handpicked the best pieces of wood. That is the reason why all RÅ Black tables have beautiful, natural wood grain with knots and are not identical. 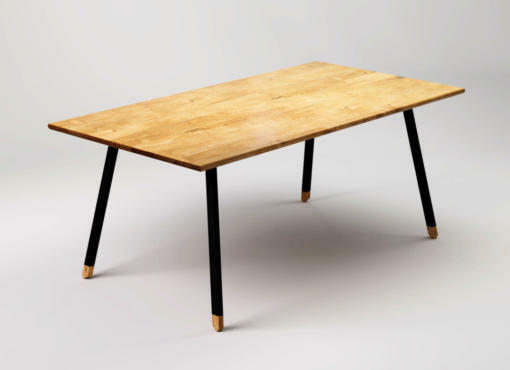 With love for raw wood dining table RÅ Black is a timeless piece of furniture. It will fit well into a modern or contemporary industrial style living spaces as well as in rustic interiors. 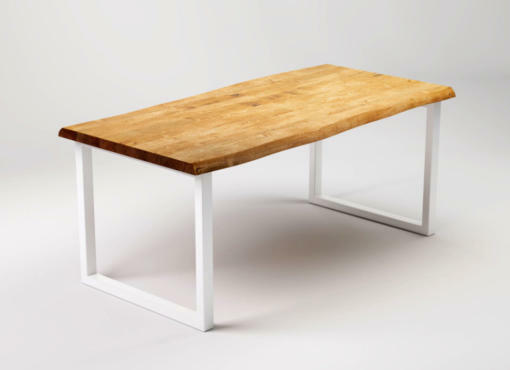 The table is also available in white version – RÅ – for those who enjoy more neutral colour tones in the interior.